Freedomind	+28.4	Received Payment 28.4 USD from account U16264529. Memo: API Payment. Invoice 2542, Fairmonitor. 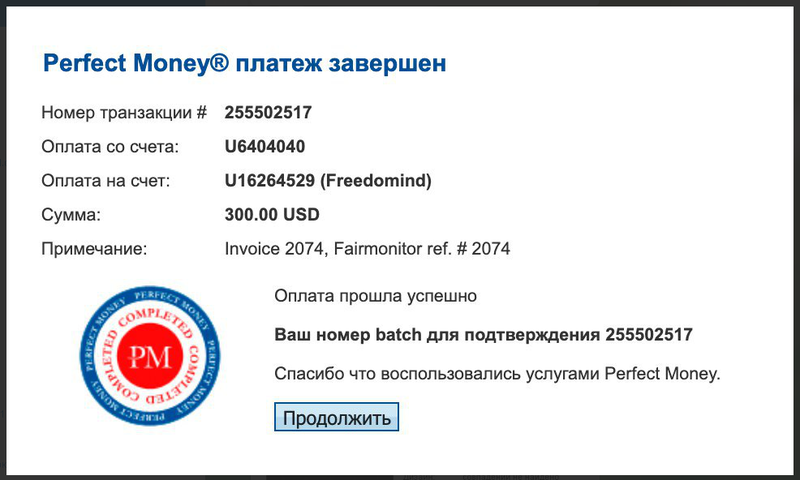 Freedomind	+28.05	Received Payment 28.05 USD from account U16264529. Memo: API Payment. Invoice 2818, Fairmonitor. Freedomind	+27.00	Received Payment 27.00 USD from account U16264529. Memo: API Payment. freedomind withdrawal, Fairmonitor.